Ships today if you order in the next 9 hours 53 minutes. 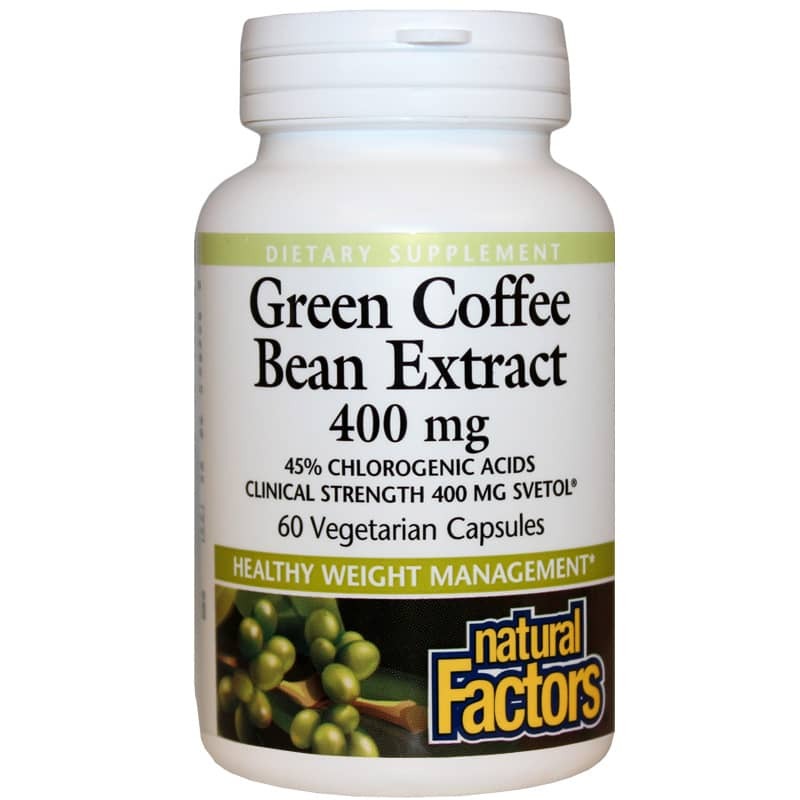 Green Coffee Bean Extract 400mg from Natural Factors is a natural supplement that provides support for healthy weight management. 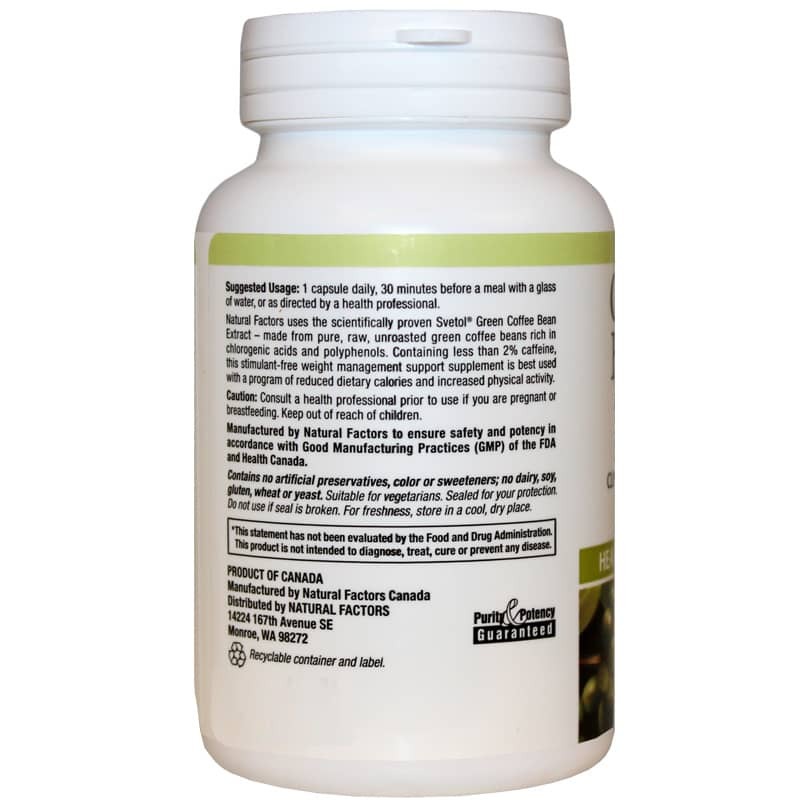 Contains Clinical strength Svetol Green Coffee Bean Extract - made from pure, raw, unroasted green coffee beans rich in chlorogenic acids and polyphenols. 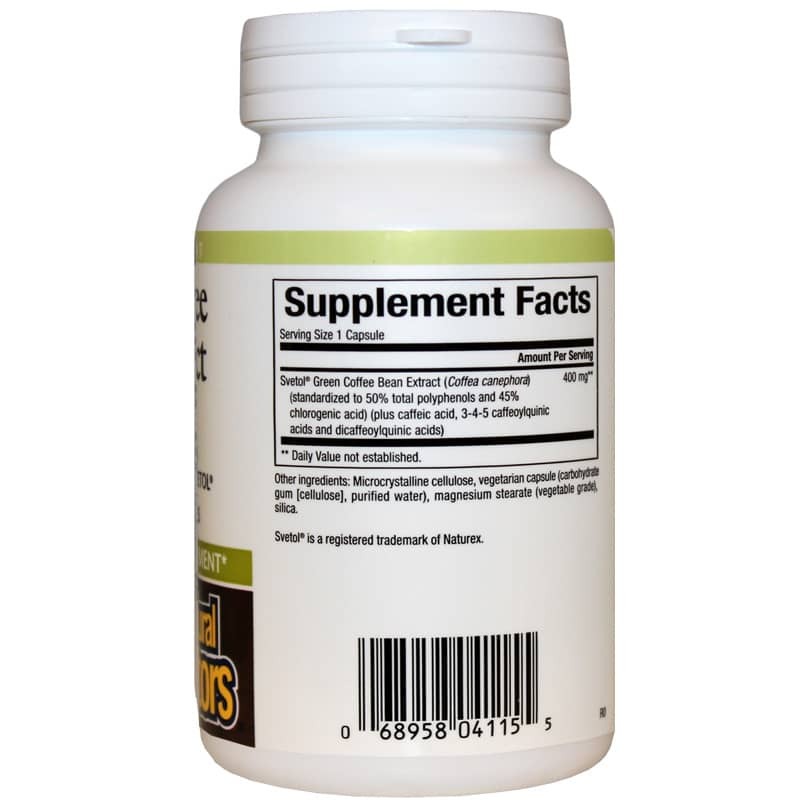 Best used with a program of reduced dietary calories and increased physical activity. Other Ingredients: microcrystalline cellulose, vegetarian capsule (carbohydrate gum [cellulose], purified water), magnesium stearate (vegetable grade, silica. Contains NO: dairy, soy, gluten, wheat, yeast, artificial preservatives, colors or sweeteners. Adults: 1 capsule daily, 30 minutes before a meal with a glass of water, or as directed by a health professional. Consult a health professional prior to use if you are pregnant or breastfeeding. Keep out of reach of children.